So how do you get folks to pay attention to your message? Because let’s face it, unless you’re Apple, not a single member of your target audience wakes up in the morning anxious to hear about your company, product or service. Robert McKee has argued that the oft quoted stat about attention spans having shrunk is wrong. Rather, he suggests, interest spans have shrunk. And that means people still pay attention…but only to things that stand out, grab and hold their interest, and pluck an emotional chord. Why are stories so powerful? Because they deliver on all of the above (which explains why people spend hours on end binge-watching Netflix but won’t watch a two minute brand video). Good stories begin with a moment of change in character’s life that grabs attention and begs the questions: how will this pan out? They follow the character through challenges, disappointments, insights, transitions and change. 1. Nike’s Equality campaign makes a strong statement about the brand’s dedication to social change, offering its audience more than just sneakers. Nike brings the message home with stories of athletes overcoming obstacles and succeeding. They said “girls don’t play hockey.” But we know the second we look at the image she overcame untold obstacles to do just that. And we want to know how. 2. 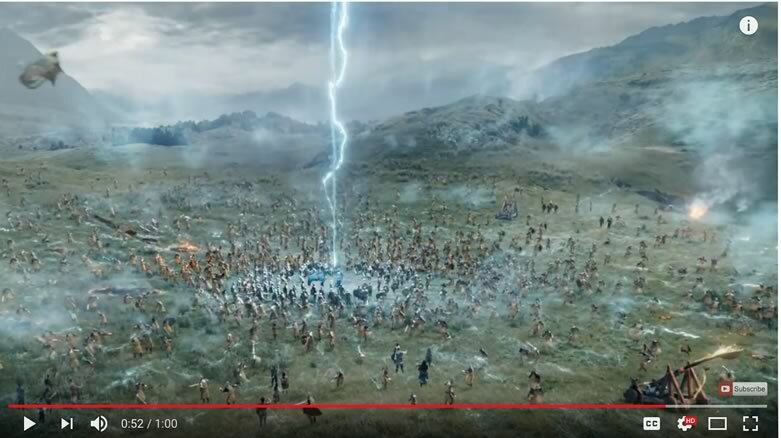 Bud Light’s Dilly Dilly campaign uses an inciting set up, clear setting, clever character development, and relatable emotion-filled climax that ties seamlessly to the brand. Oh, and a big dose of humor. In the midst of battle, the Bud Knight comes to the rescue…grabbing some party beer and rescuing the kingdom in the process. 3. 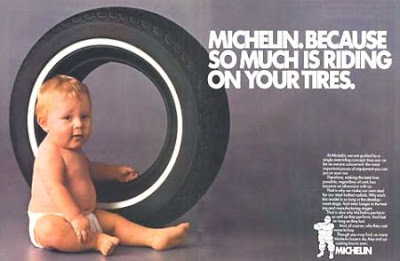 Michelin Tire’s baby ad. It’s an oldie but a goodie. The Michelin Tire baby ad tells an implicit story – our minds are so receptive to stories that this works. A key phrase or image can imply a lot…when cleverly selected and presented. We plug in a story when we look at this image. Each individual story might be different, but most of us imagine a close-call driving catastrophe – a catastrophe that was only avoided because we had great tires and, thus, saved our family. Thoughts to add? Shoot them our way–we’re always happy to hear from our friends.